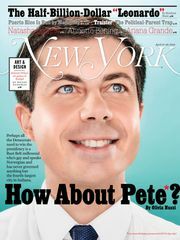 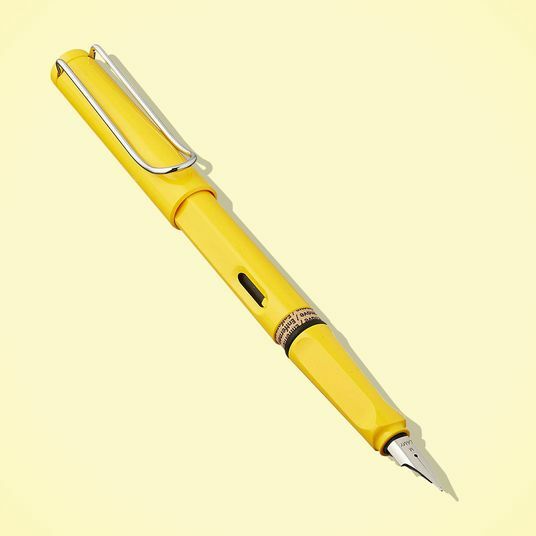 I belong to a long line of New York writers and editors who love things that look like other things, like mayonnaise that looks like a tube of toothpaste, or teeny-tiny replicas of everyday objects, like a bottle of Windex or a banana. 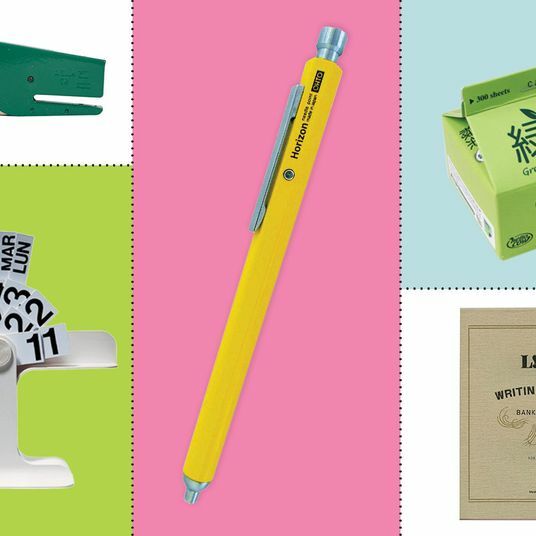 But my true obsession lies in a specific subset of these trompe l’oeil items: notepads and sticky notes. 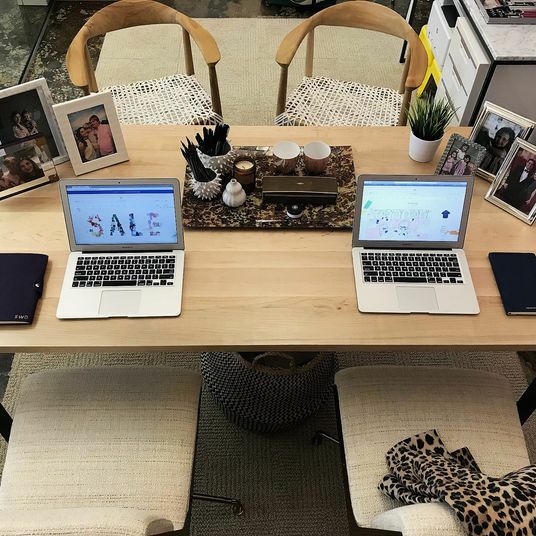 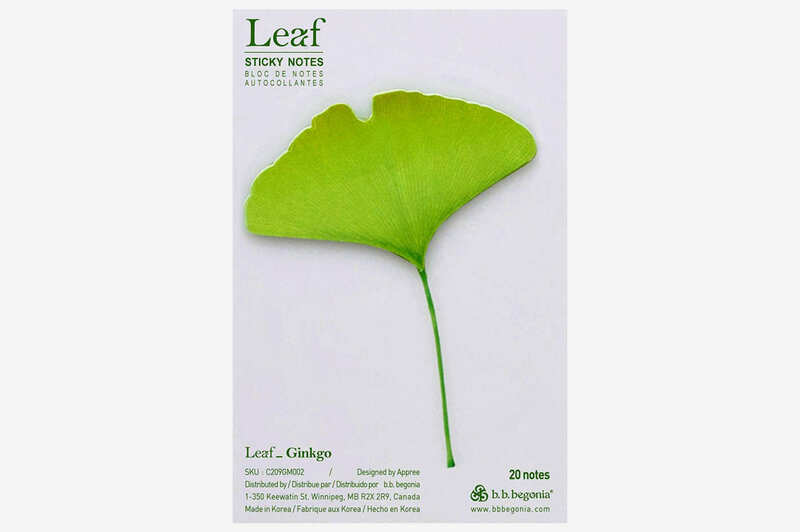 I first discovered this distinctive type of stationery in Seoul, in a design shop that sold packs of sticky notes shaped like realistic-looking ginkgo and maple leaves. 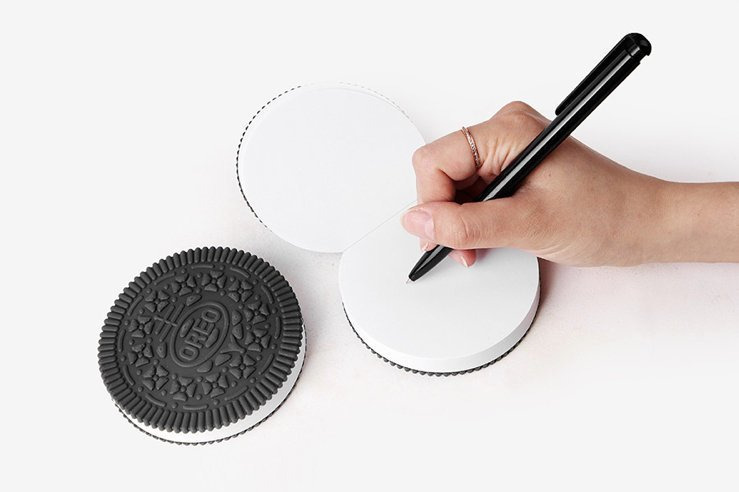 I thought it was a cute visual pun (loose-leaf paper), but a couple trips to Korean stationery stores later, I learned that the shapes of these illusory notepads weren’t limited to paper-based puns. 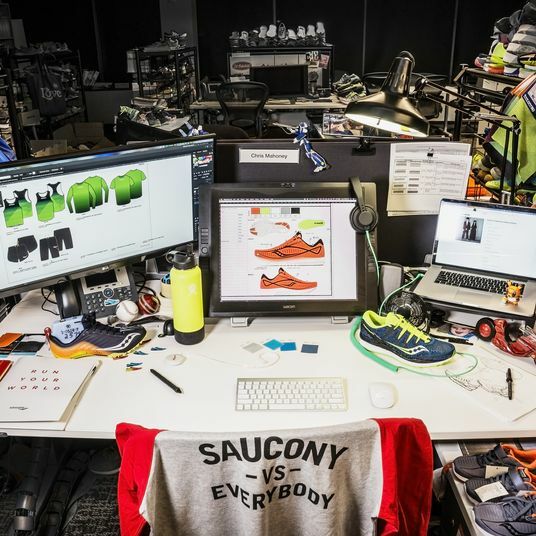 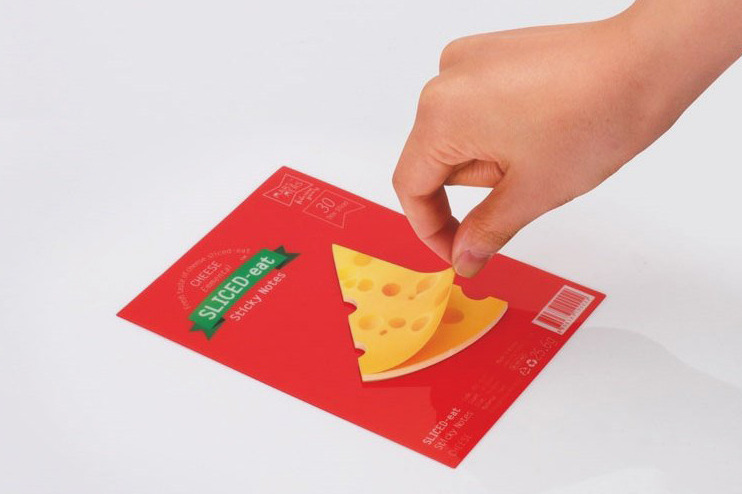 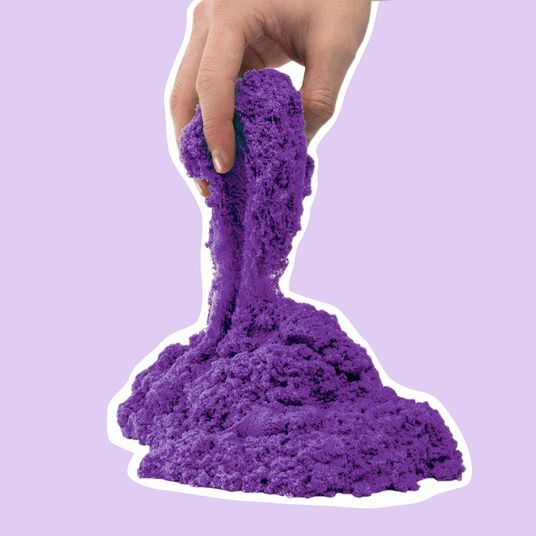 There’s a seemingly endless variety of visual tricks played by these sheets of paper, including ones that look like slices of salami or Swiss cheese, Band-Aid-shaped sticky notes that could be stuck to a piece of paper instead of your arm, even 3-D notepads that are glued together to look like whole pieces of fruit. 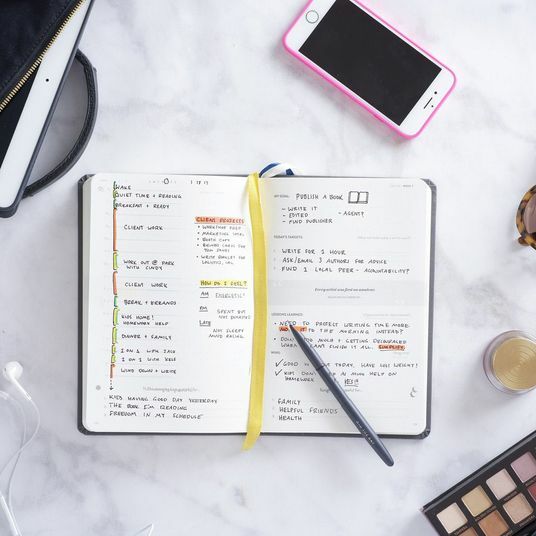 Some might argue that these colorful, patterned Post-its are garish and hard to read, but I like them exactly because they’re almost impossible to ignore. 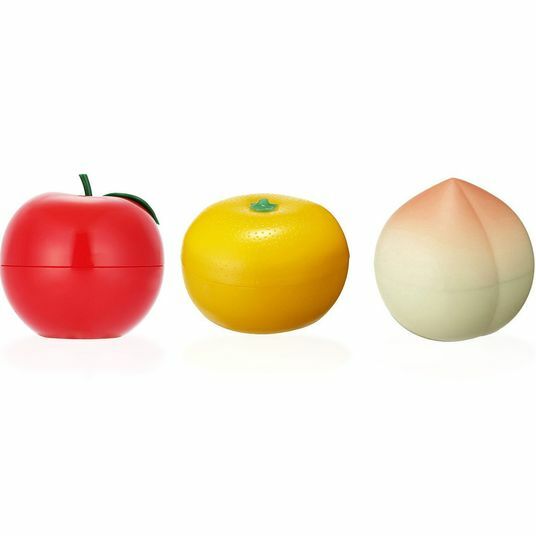 I dare you to walk by what looks like a slice of cheese slapped onto the fridge and not stop to look at it. 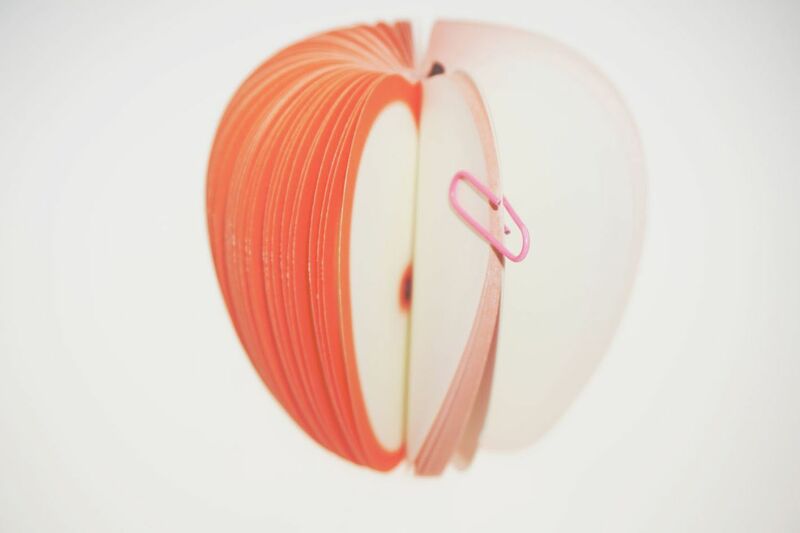 It’s certainly a more striking reminder to take out the trash than even a fluorescent, square Post-it note. 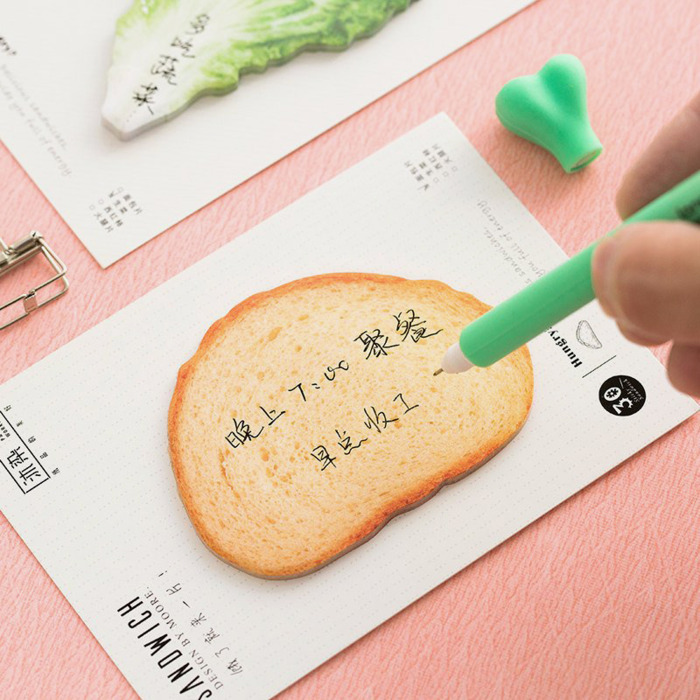 And there’s something joyful about taking something pedestrian, like a note to send that check to your landlord, and slapping it on a piece of bread. 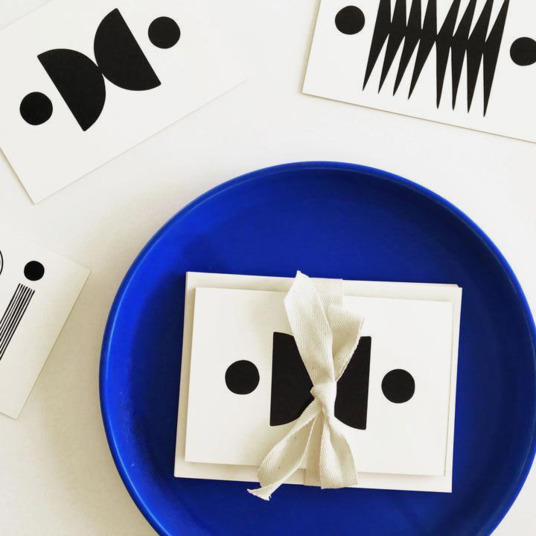 Here are some of my favorite trompe l’oeil notepads that I already own and some I’ve got on my wish list. 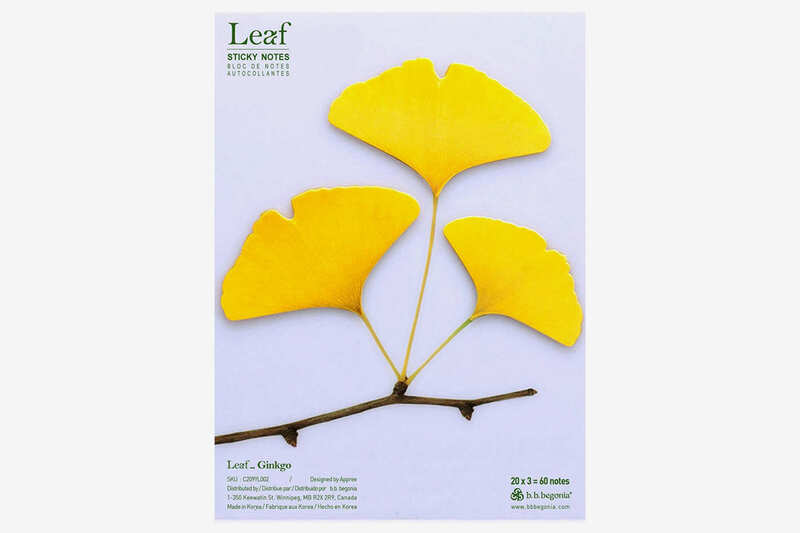 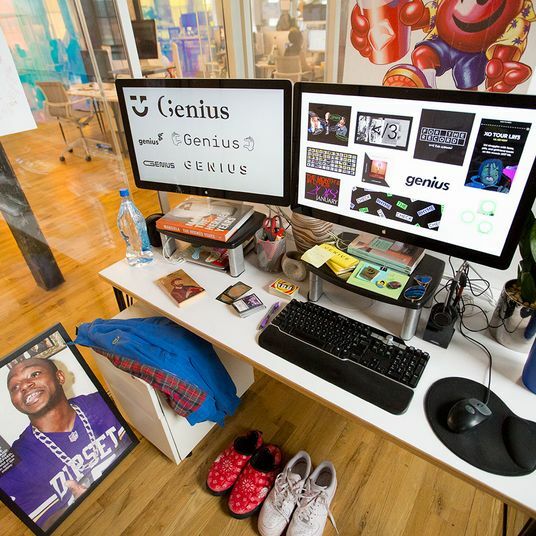 A version of the ginkgo-shaped sticky notes that started it all. 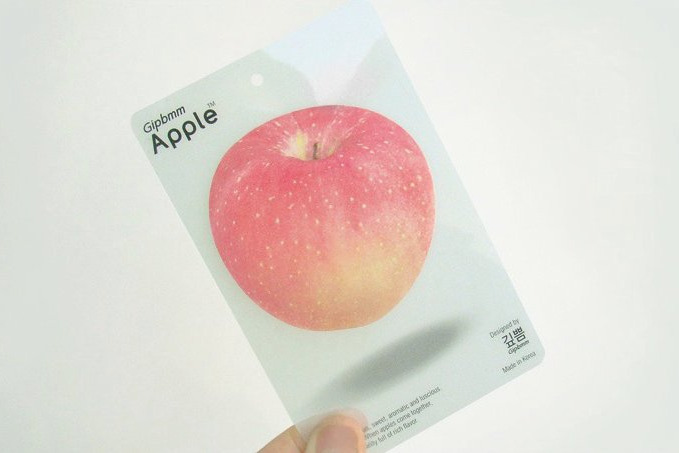 They also come in green. 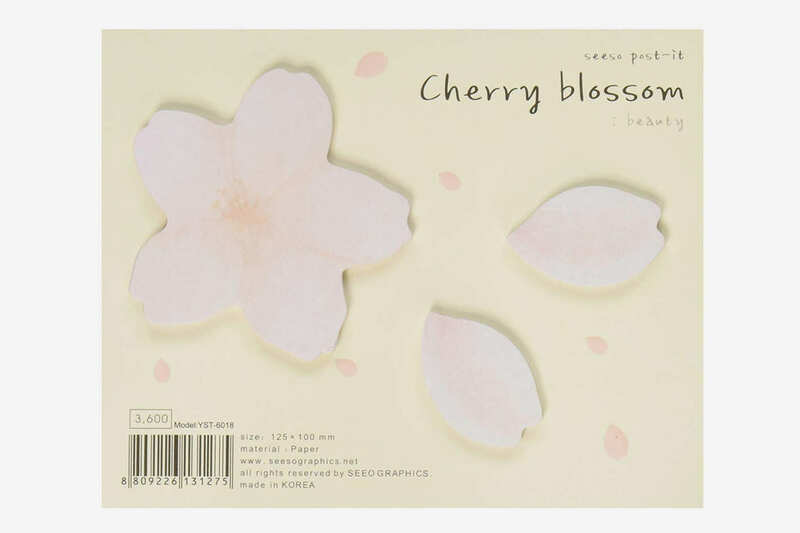 These cherry-blossom sticky notes come in two sizes, so you can either write notes on the full, large flower or the single, smaller petals. 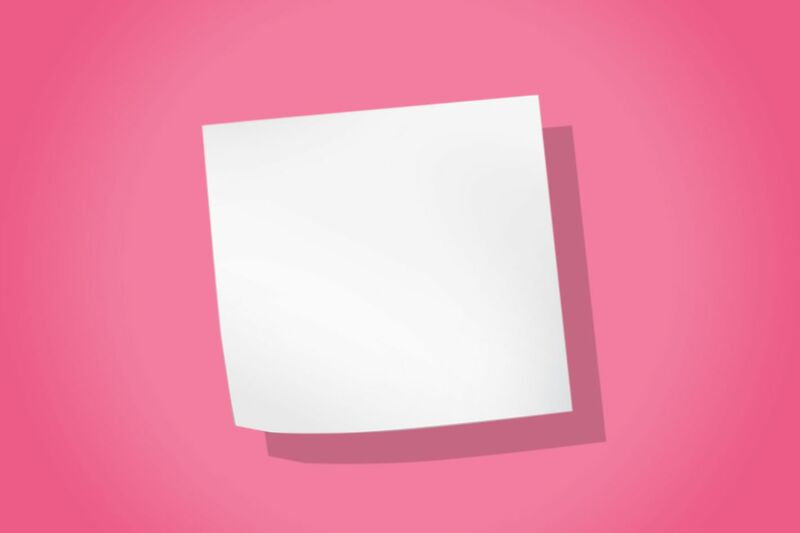 There are plenty of food-inspired notepad optical illusions, like this stack of paper that looks like a hunk of Swiss cheese — and each sheet looks like an individual slice. 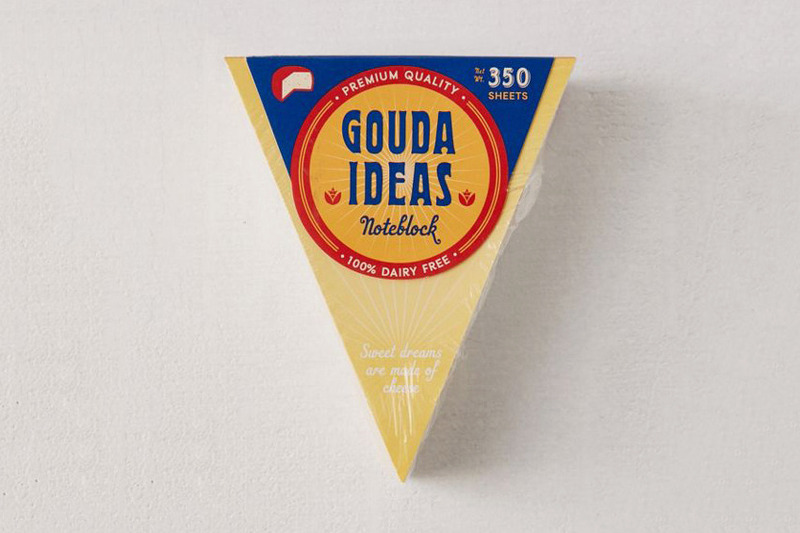 If you’d prefer sheets of paper without a sticky back, Urban Outfitters sells this cheese-shaped notepad for all of your Gouda ideas. 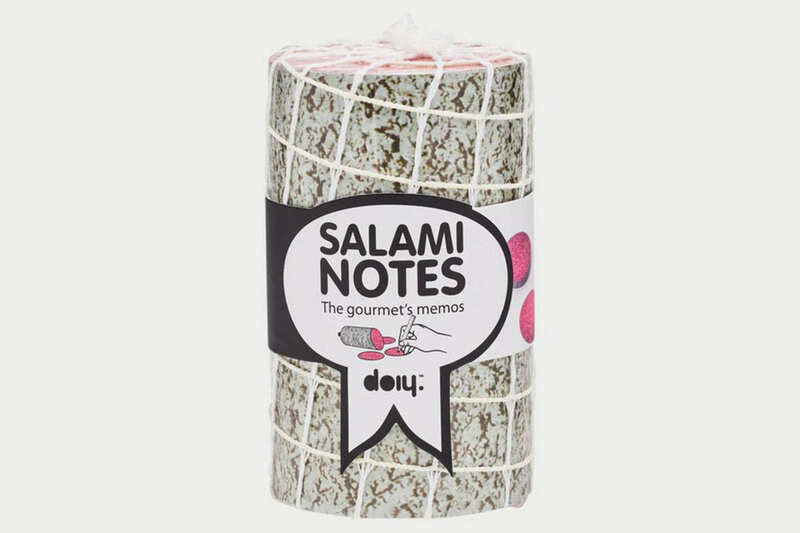 This hunk-of-salami notepad has several hundred sheets of paper, so it’ll take you a long time to work through the whole link. 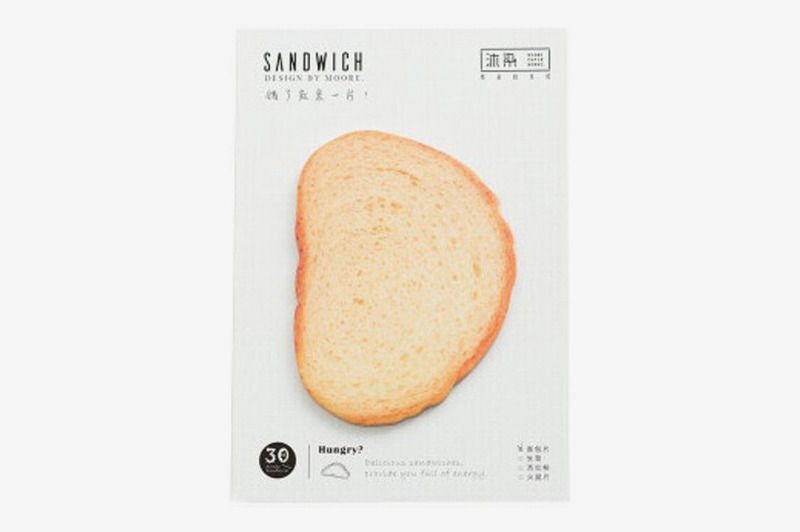 Finish off your paper sandwich with some bread-shaped sticky notes. 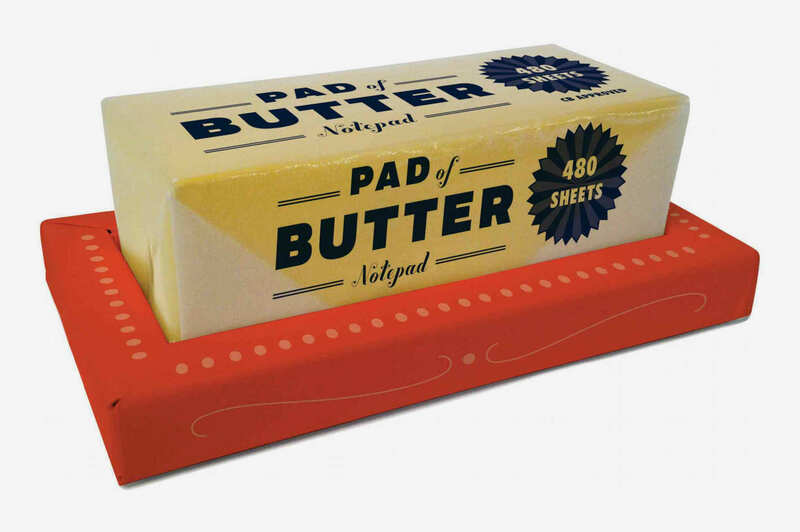 Or you can make toast with this Pad of Butter, made out of a pad of paper. 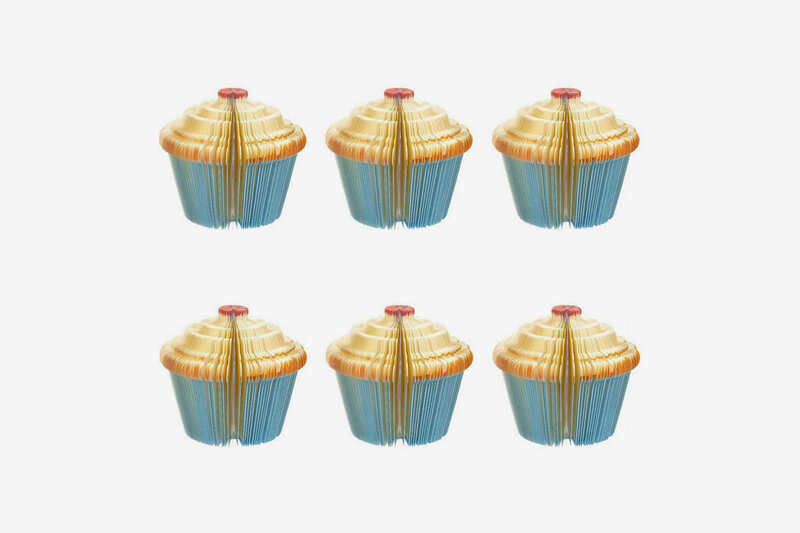 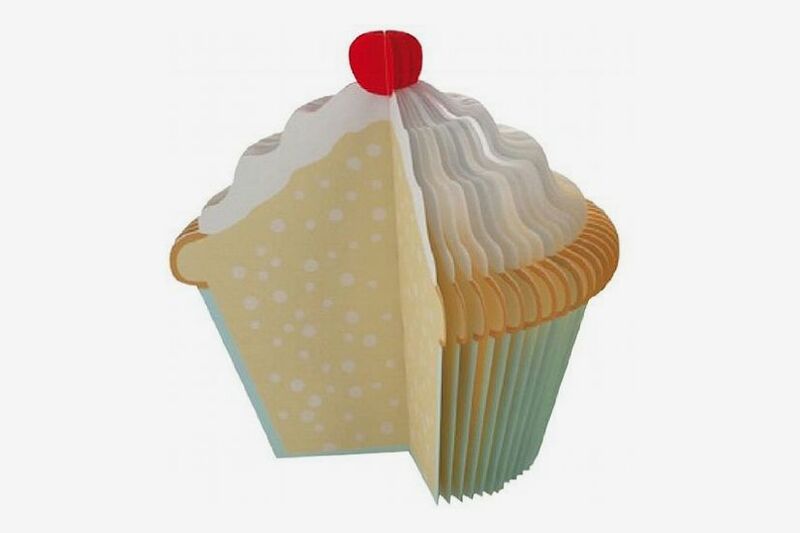 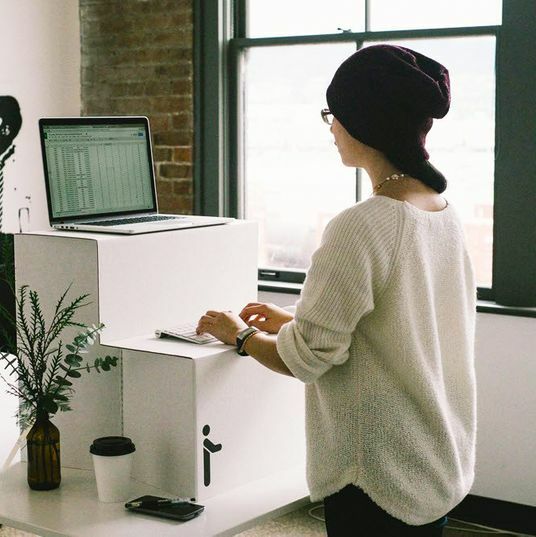 … And this 3-D cupcake from Kikkerland that stands up vertically on your desk, just like a real dessert would. 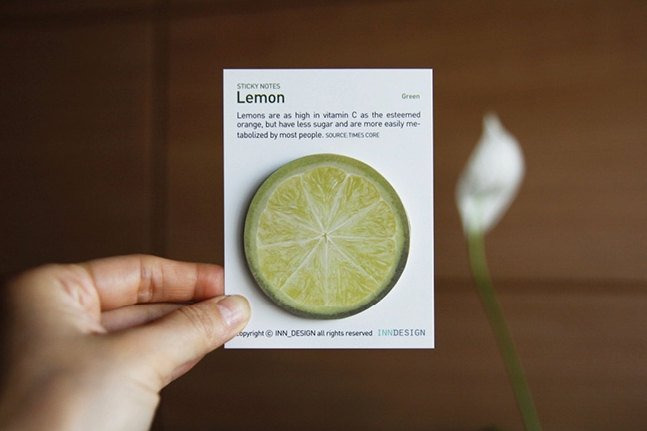 … Or these mislabeled lemon slices (since they’re actually green slices of lime). 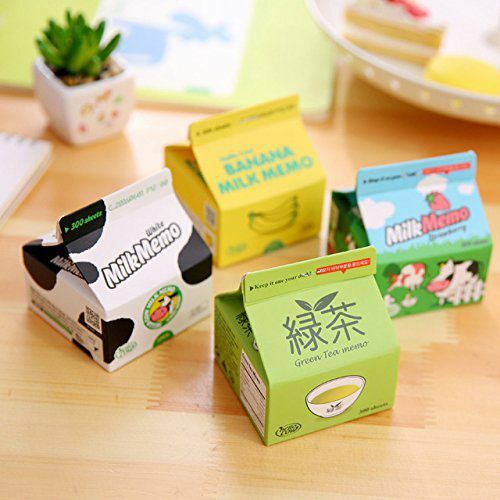 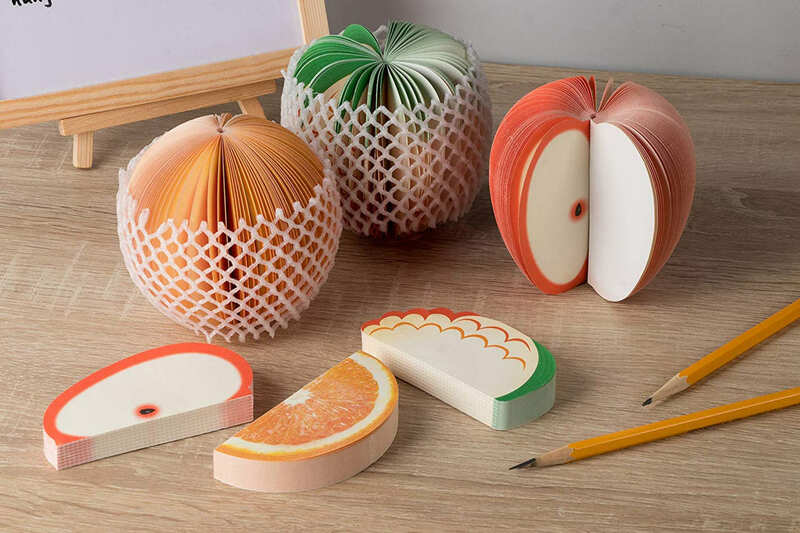 There are also 3-D fruit-shaped memo pads that can be split apart to look like sliced pieces of fruit, with seeds on the inside and all. 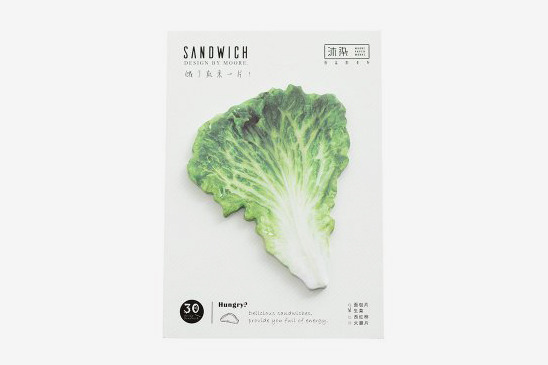 You can get vegetable-shaped notepads, too, like this head of lettuce. 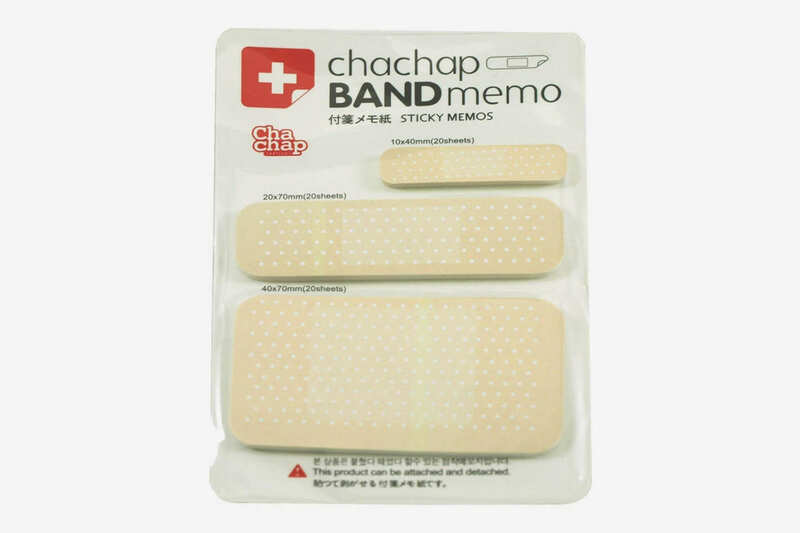 On the slightly grosser end of the spectrum, there are these Band-Aid-shaped sticky notes. 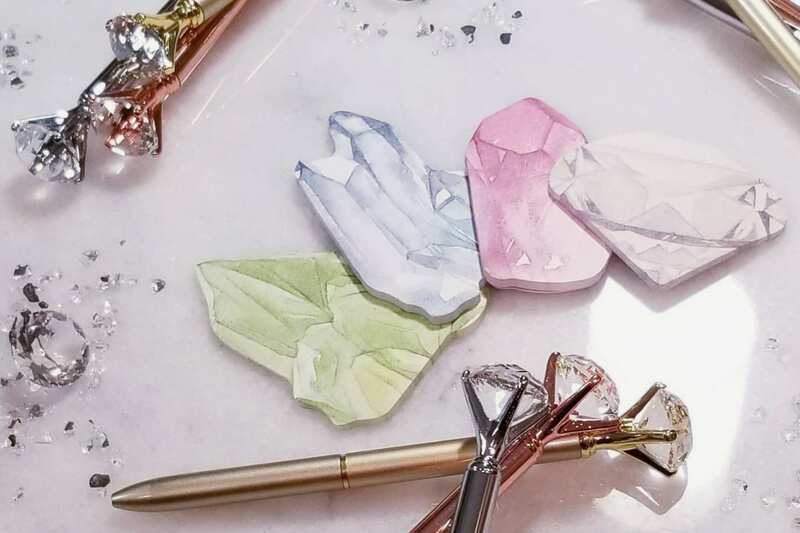 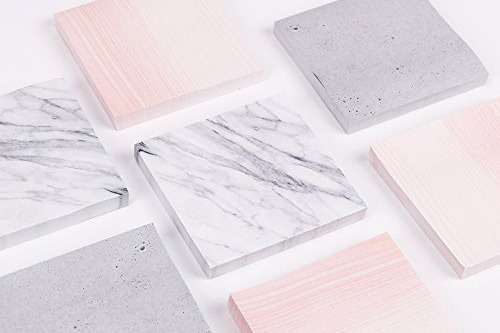 These crystal-shaped sticky notes are arguably the least realistic-looking, since they’ve got a watercolor-looking design, but the overall effect is still striking. 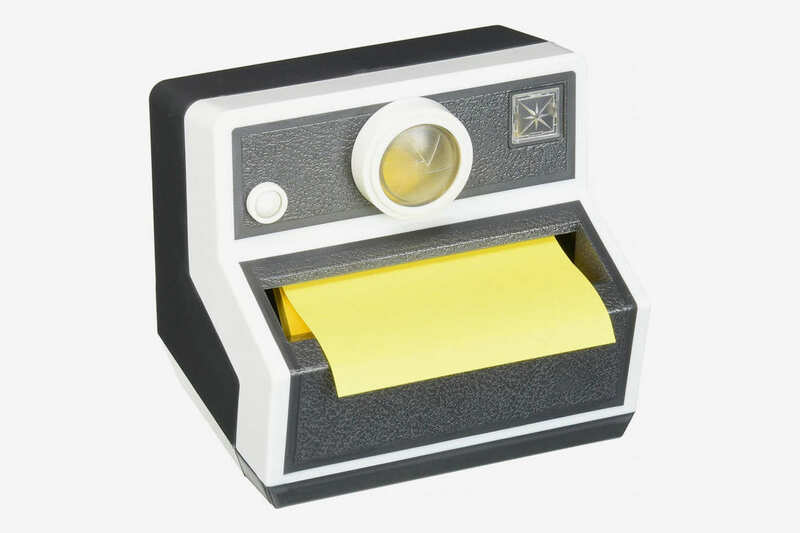 This is technically not a notepad shaped like something else, but a camera-shaped dispenser for regular-shaped Post-it notes, in case you want to ease into your collection of trompe l’oeil paper goods.